You've just started dating and he has a birthday or Christmas is around the corner. What do you buy a new boyfriend and should you buy him anything at all? It's a good idea to discuss this matter before it becomes an issue. You might decide to celebrate together with a nice meal, evening out and forego gifts, or you may agree on token gifts with a budget limit. 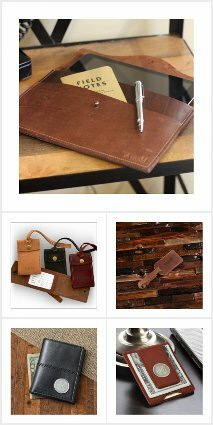 You may find it too difficult to talk your boyfriend about but if that's the case, then it is early days and you should err on the side of caution and gift (if anything) something inexpensive and light-hearted in nature. This boyfriend gift is more 'gesture' than a symbol of anything greater. Buying a new boyfriend a gift is different experience to buying a gift for a man you've been dating a few years. 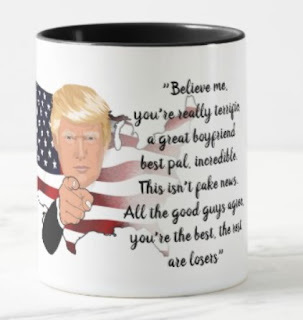 In the early start of a relationship you're still getting to know each other and might not fully know what each other likes in terms of gifts. You also don't want to jump in a spend to much sending out a message of being too serious too soon which can scare a new boyfriend off. Rules of dating, don't mention marriage and kids in first few weeks and don't buy gifts which indicate you're thinking long term. Defintiely NO rings, gold chains, expensive gadgets. 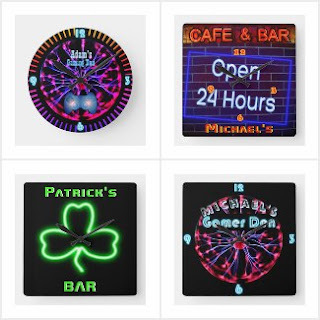 These neon wallclocks can be personalized with your boyfriend's name and they look great in a gaming room, mancave, his bedroom. Men love these! 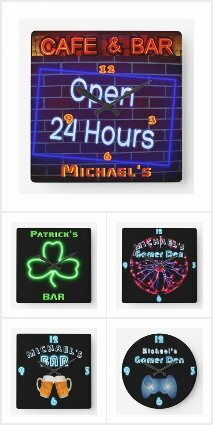 They look great, are inexpensive, have a practical purpose and will make a great keepsake. 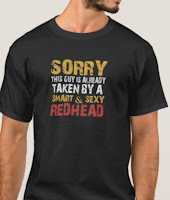 It's a great idea for a new boyfriend gift. You could also consider a simple piece of clothing, a funny boyfriend t-shirt like the one shown here or a fashion brand you know he likes. A sweater/t-shirt is a simple gift, not too expensive and doesn't say too much with regards to how serious you might be about him. If you are a younger couple, clothing might be a a bit 'random' so opt instead for a funny 'lovers' mug. Something that has a practical purpose but you can both have a giggle at, at the same time. 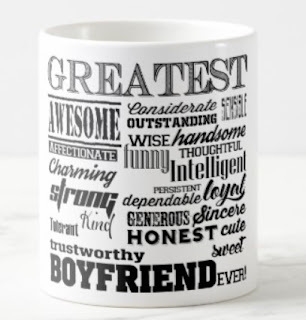 Personalized boyfriend mugs are easy to create these days and there are lots of great customizable template mugs for boyfriends to inspire you. Check out the ones featured above and those below via Amazon. 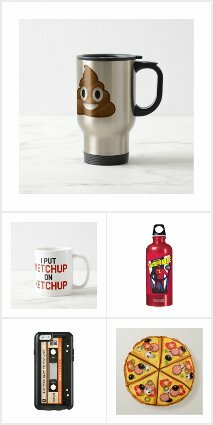 Lots of great boyfriend mugs to choose from. 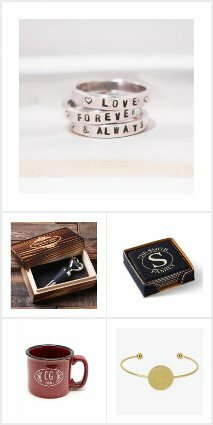 For a long term boyfriend who you have already exchanged 'I love you's ' with, you can be more adventurous with your gift giving. By now you will know his interests, likes and dislikes and you won't scare him off with anything too personal or expensive. 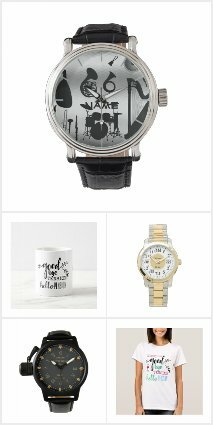 Bearing all that in mind check out these interest themed gifts for men, which you can personalize for a boyfriend, making it extra special. 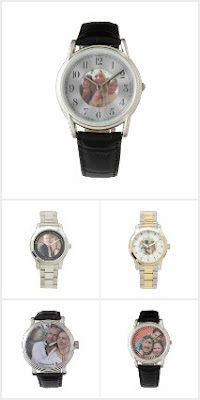 A photo watch is a great romantic gift for a long term boyfriend. you might have children together and so you can add a family photo. Check out these great photo watches for men HERE. Other great ideas for boyfriends include gaming gadgets, games if they're gamers they will love the latest game, new set of wireless headphones, anything that improves their gaming experience. They might be into their music in which case a new listening device, collection of their favorite tracks, special set of speakers will be very well received by your lucky boyfriend! A book worm boyfriend would love a subscription, latest book from his favorite author, a limited edition, first edition, signed copy of a book he loves. He might enjoy a new Kindle with some downloads of books he's waiting to read.